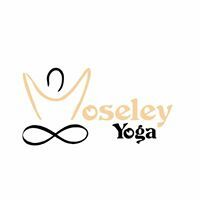 There is a Sacral Chakra Workshop in the morning, pay for this workshop and you are FREE to attend the Sacral Chakra Workshop too. 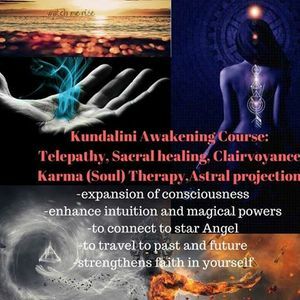 - Kundalini Awakening in a safe manner. This workshop offers training in authentic practices that expand and unify consciousness; unlocking the limitless potential we are all born with. 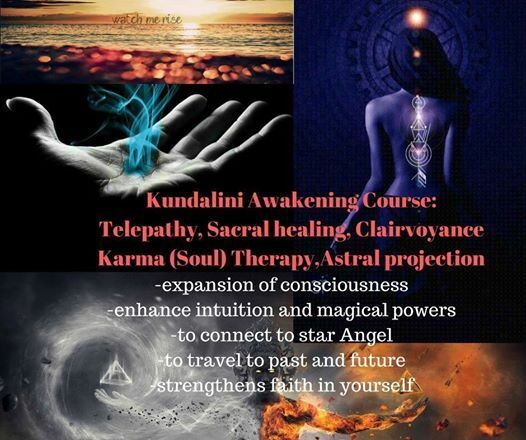 Kundalini energy is a key in Tantra that provides some of the most effective and transformational practices. It is specifically designed for those of us that live a normal and everyday life. A way for us to find that authentic sense of being at peace in the world without needing to remove or isolate ourselves from what’s around us. Sri Vijay Anand is a Yogi and Tantra Master ready to share the esoteric techniques that are passed down only orally. Naturally this will encompass ancient methods not covered in typical yoga training courses. This workshop is right for true seekers of spiritual growth who are able to commit time to regular personal practice and have a foundational level of relevant experience, for example, yoga teachers or experienced yoga practitioners, energy workers or healers, meditators or shaman, etc. It will be a very practical workshop, focused on experience above theory. If your intuition gives you a feeling this workshop would be of interest to someone you know, please feel free to trust in that and pass on the invitation.